If you follow any weird and unusual news you’ve probably saw this story which is “going viral” as you read this. 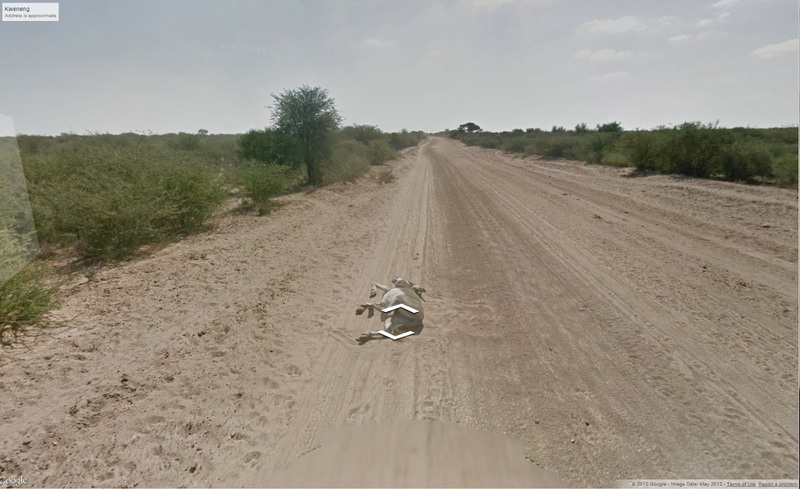 It seems there is a controversy brewing that a Google Street View car ran over a donkey in Kweneng, Botswana. I personally don’t believe that happened. Donkey Fact: Donkeys take dirt baths. What on earth does this have to do with Oklahoma or Land Rovers? Good question. It’s a weak link, but we have donkeys in Oklahoma too. Bet you didn’t know that…hehehe, whatever. If you want to protect your livestock from coyotes you put a donkey out there with them. This is evidence all over central Oklahoma. 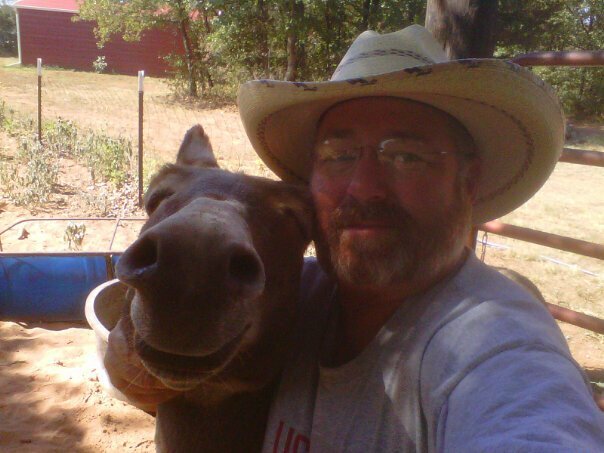 One of my best friends lost their family donkey just a few months ago. He was most likely attacked by a cougar or perhaps less likely, a pack of coyotes or wild dogs. It’s only marginally less dangerous to live in Oklahoma than it is Sub-Saharan Africa. Once you hear one of these big cats at night, you’ll think twice about camping on the South Canadian River overnight. The Land Rover connection is much easier. 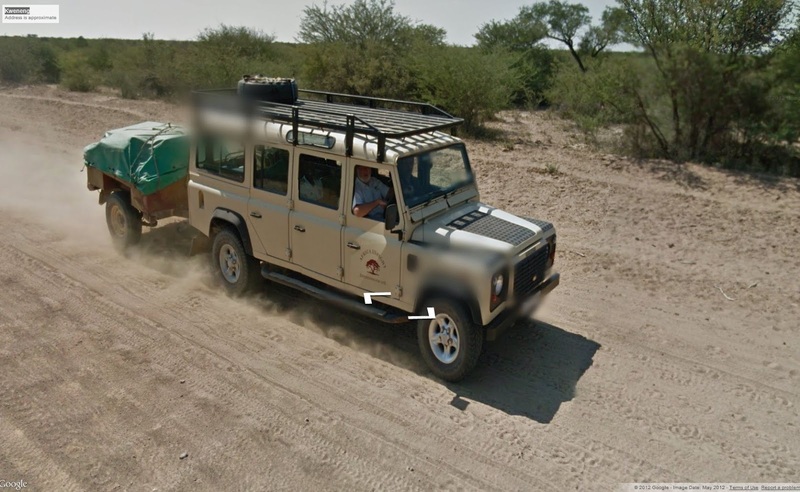 The Google Street view car passes a Land Rover Defender just before it encounters the donkey in the road. The Defender is from Africa Insight. You can see Africa Insight’s Chairman Christopher Race driving one of their Defender 110’s pulling a Sankey trailer. I don’t know the good people at Africa Insight, I just know how to use Google. If you backup from the donkey lying in the road with the Google Street View application, you will see the above Land Rover Defender pass as you proceed down the road. This is why I love Google Street View, candid images of every day happenings, frozen in time. This is a link to the Google Streetview in question. You are free to navigate around and see the sights. 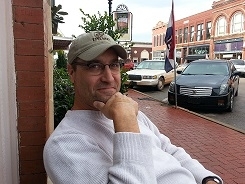 I also created this animated GIF for you to enjoy…yeah, I’m a full service website. so named by his grandson Jace. and had to be put down last year. Okay, let’s review. Two donkey facts. One Land Rover Defender. One family pet. One best friend. That’s a full post if I do say so myself. Thanks for reading and hoping you have thousands of miles of donkey free contact in your Land Rover. Happy Rovering. This entry was posted in Africa, animals, Defender, friends, Google Maps, Oklahoma. Bookmark the permalink.